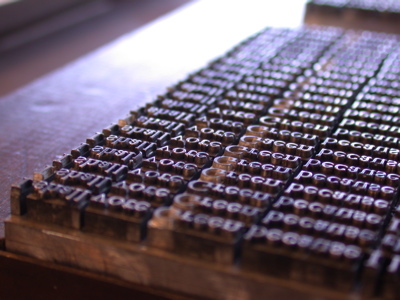 Text block, set in Kis by Jack Stauffacher. 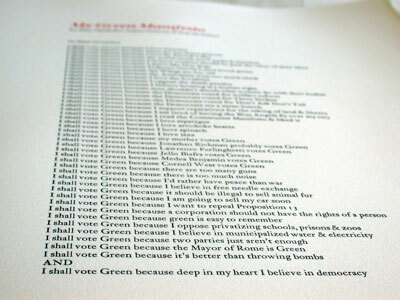 The text of the manifesto is set in Kis. 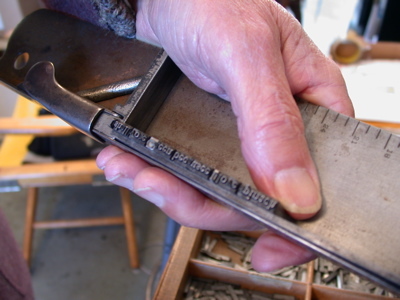 Composing stick - Jack Stauffacher. The title block is set in Walbaum. The Greenwood Press. 300 Broadway, San Francisco. 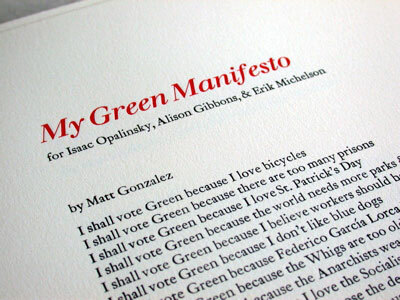 My Green Manifesto, by Matt Gonzalez. A collaboration between Jack Stauffacher and Pino Trogu. 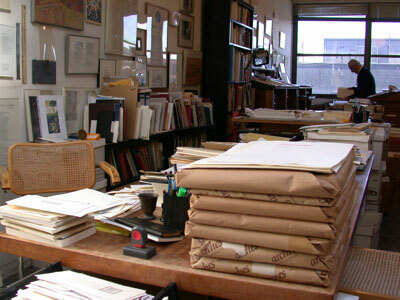 A limited edition broadside was printed in Jack's letterpress shop at 300 Broadway, San Francisco. 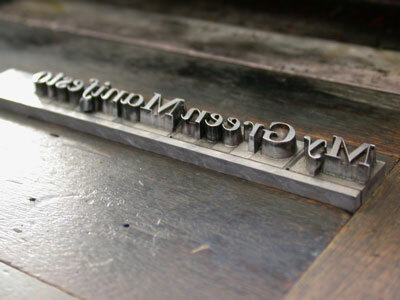 Jack set the type and Pino printed the broadside on the Vandercook press.